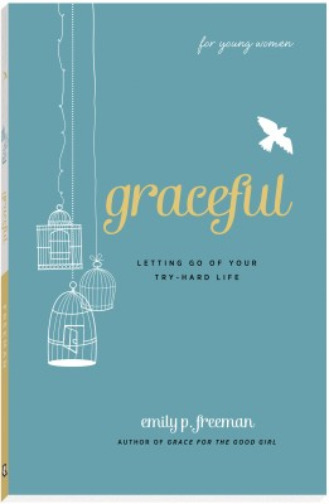 Jen: Hey everybody, Jen Hatmaker here. Your hostess of the For the Love Podcast. Welcome. Welcome, welcome, welcome. So, you guys, we are forging ahead in one of my favorite series that we've done since we started the show. For sure. It's called For the Love of Good Change, and the whole thing is just giving me life. If you think I'm not going to go back and listen to all these episodes again, you are mistaken. I've already listened to two of them twice, because they're just packed, every one of them, with gold mines of just, wisdom and careful thought, and I'm just . . . I am feeling real filled up by my guests in this show. So, speaking of guests, thrilled to bring you my next guest: the absolutely delightful Emily P. Freeman. I know that a ton of you already know Emily. Every time I ever read her words or hear her talk, I just feel relieved because she makes me believe that I can slow down and think carefully through all the things and figure out my best way forward, in a way that is nourishing, and healthy, and sane. And I'm just . . . I think I'm just starving for all those things so much, it's probably why I'm loving this series as much as I am. So, if you don't know Emily, she's a writer of many books. She's a beautiful writer. She's a writer's writer. 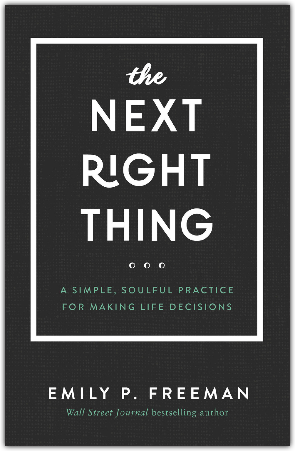 She's a host of the delightful podcast called The Next Right Thing, where she helps create space for our souls to breathe so we can discern the next right thing for each of us, which is why I'm so glad to tell you that she's taken some killer ideas from her podcast and put them together in her upcoming book, which is also titled The Next Right Thing, and it comes out April 2nd. 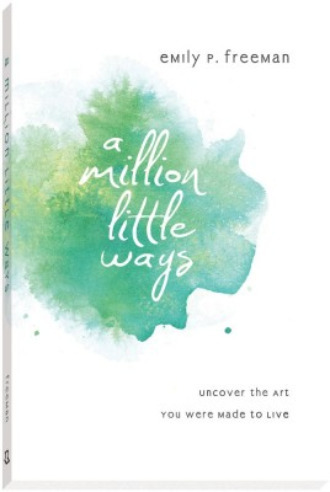 I got a sneak peek at the book—lucky me, my job is awesome—and just trust me, you'll want to pre-order this book, because it's going to breathe very fresh life into you. I promise you that. What I love about Emily, and you'll see as you listen to this conversation that she and I had, which was so smart, and helpful, and useful, is she sort of grabs us gently by the hand and leads us into a place of calm. Does that sound like something you're interested in? Because I am. She helps us remove these obstacles from our path so we can just see what's in front of us, and how to move forward in the best possible way. And her voice is very invaluable in this space. If you have a hard time making decisions, or you cannot figure out what to do next, or you feel cluttered in your mind, or your soul, or your relationships, or you have these ideas that don't seem to manifest into your actual life, this is the show for you. We literally talked about every single thing I just said In the course of the next hour. And so, just pull up a chair. I just want to remind you of this real quick: all of our episodes are over at jenhatmaker.com under the podcast tab, where we have the entire interview transcribed, if you like to read the interviews or you want to read them later, or kind of go back through and cut and paste some parts or quotes that you loved. In addition to all that, we have everything we talk about is linked over there: all of my guests’ social media accounts and their books, their podcasts, or whatever it is they're putting out into the world. And we ask every guest to send us some bonus pictures and stuff like that, which Amanda loads up in this beautiful format. 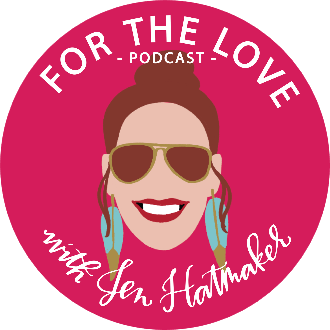 And so, the podcast over at jenhatmaker.com has a lot more to offer you. So, if you ever love one of the shows so much that you want more, be sure to hightail it over there, because we really want you to squeeze every last drop out of the podcasts that you love. So, okay. That's it. You guys, thrilled to introduce you to, or bring you who you already love. So, welcome Emily P. Freeman. Jen: Okay, I'm so happy to have you on today, Emily. Welcome to the show! Thank you for being here. Emily: Oh, I am so excited to be here with you. Jen: You know what I want all my listeners to know about you first, before we get into all this amazing stuff you're putting out in the world right now, is that one of my favorite things about me and you is that we have book twins. Jen: 2015. For The Love came out and was it A Million Little Ways? No, it was Simply Tuesday. 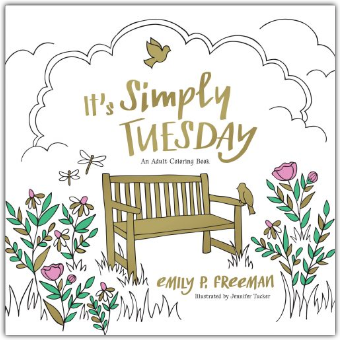 Emily: It was Simply Tuesday. Yep. Jen: It was Simply Tuesday, that's right. And our books came out on the same day and we sent them into the world, and they're growing up. I mean, they're almost four. Emily: They are. They are past the awkward toddler stage, and now they're like, walking around and bossing us around. You know? Emily: Well, and the thing too Jen, as if your listeners don't know this about you, but here's something. So, talk about being a gracious, and supportive, and non-competitive person. The day our books came out I got an email, because I'm on your email list. Emily: I got an email the day that For the Love came out, and the first paragraph of your email newsletter to your people, on your book release day, was about my book. Emily: And I have never forgotten that. It's such a spirit of support, and just absolutely no feeling like . . . Like, we're all on the same team here. Emily: Right? I mean, thank you for that. I feel like I have thanked you before, but now I get to thank you like voice to voice. So I just think that was just so kind. Jen: That is so nice. That is so nice. I'm with you. I just feel like, I really do believe . . . I say it a lot, you do too, but I sincerely believe that you know, the rising tide lifts every boat in the harbor. I just think we are all the boats in the harbor, and our books are good for one another, they're good for our communities. I want my readers positively to know who you are, obviously, and to read your work. And I just think it's good for women. Jen: So, I've been taught and mentored by people from afar who I've watched do that well, who really use their platforms to support their friends, and their colleagues, and their peers. And I always said, "I hope I'll do that." I respect that when I see it, and I think it's good for all of us. I just don't believe in scarcity. So, there's plenty to go around. Speaking of. Well look, tons of my listeners already know and love you. We have a lot of crossover, but for the few who don't, I've already told them a little bit about you, but it's your latest project that I am really . . . I just think you're nailing it, sister. I love it, I'm intrigued by it, I'm interested and so, I really just want to kind of dive in to The Next Right Thing. And that is some of your coolest work right now and it's brilliant. The podcast, the book. And so, obviously since necessity is usually the mother of invention, I would love for you to tell me and my listeners how The Next Right Thing came into being, which I heard came together in a way you didn't expect, back in 2017. Can you talk about that for a little bit? Emily: So, the curse of a writer—I don't know, the gift and the curse—is that we're always paying extra close attention to things. So I start taking notes about the way that I'm making, or in my case not making, this decision, and I thought over time, and I ended up making this decision, and it moved onto the next thing. But that process of look at the power that an unmade decision held in my own character formation, in my own spiritual formation, in my own relationships. So I started taking notes on it thinking, "This could be my next book. This really could be my next book." I realized that, you know what? The most important thing for a maker is to figure out what the gift is first, and then let the wrapping show up later. Emily: Because I thought, "Oh, the wrapping's a book. I have to make this fit into a book." Emily: But the gift is the same, but the wrapping is different. So I started to learn, the thing was, was I fell too much in love with this idea and concept of decision making and exploring it, and what it does for us as human people in the world that I couldn't let it go. So the love of the idea forced me to find a packaging that fitted like a glove. And as it turns out, that packaging was a podcast. Jen: Love it. I commend, I applaud your capacity to flex. I am like you, I tend to get an idea, and I think it's going to look a certain way. And usually it's a packaging I've already experienced. Jen: So I know the rules, I know the procedures, it's not my first rodeo, and I find that I'm not very flexible. So the fact that you were able to imagine a different way for this content to be born, I love it. That's something I would really love to work on in my own creative life too. And so let's talk a little bit more about it. You have so much to teach us. 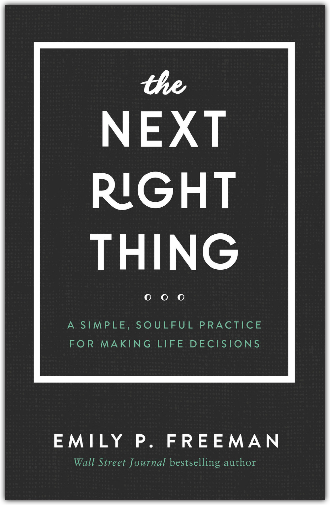 What does “the next right thing” actually mean? Like, where have you used this in your own life? Can you unpack it and unfold it a little bit for us. Emily: Well, to be clear, I didn't come up with the phrase “the next right thing,” in case anyone was mistaken. This phrase has been, I mean Martin Luther King said it, Anne Lamott has said it, Mother Teresa, the book of Alcoholics Anonymous. Jesus practiced the mindset as well in scripture. When we think about just do the right thing, that feels great. Emily: It feels a little daunting, it's a little ominous, it's a little intimidating, but that magical sweet word in the middle: do the next right thing. Now it feels accessible, now it feels like a question I can carry with me into my everyday moments and say, "Okay, I'm overwhelmed. Okay, I'm feeling unsure, or unsettled." 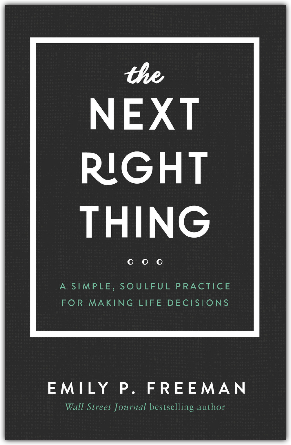 I might not know what the right thing is to do, but I can discern my next right thing right now.” And once I move into that space, I ask the question again, "Okay, now what's the next right thing?" And sometimes it might really be just take the dishes out of the dishwasher and put them into the cabinet. Emily: We're not talking, "And now it's time for world peace." I mean, rarely is that our next right thing. Usually it's make a phone call, write an email, get dressed, take a shower. This is the alchemy, these are the stuff of our lives that we move into, and sometimes I make it too hard because I skip over all the human stuff and I try to get to the stuff that feels too big for me to carry, that really doesn't have steps to get to it. It does have steps, but I'm trying to skip all the tiny steps and get to the big thing. Emily: So that's where the magic word of “next” comes in for us. Jen: That just feels like a bite I can chew on, and that matters. I mean, that's kind of a smaller switch to flip, but I feel my chest relax when you say it. Like, "Okay, I can handle that." I read that researchers say, I mean this feels crazy, but that adults make more than 35,000 choices a day. Like, a day? Which is just bonkers. I mean no wonder we're all walking around, we can't decide what to make for dinner. We've had too much, we've made too many decisions already that day. So, how do you think we got to this place of decision fatigue, and do you think there's anything we can do to address it? Emily: That 35,000 number, that feels like a lie doesn't it? Jen: It feels like a lie. Emily: Yeah. I've looked at so many different numbers, I've tried to track that down and for someone to say, "Guys, I know this number's going around, but it's not really the case." Emily: No one is saying that. Everyone is like, "Yeah, that's pretty much true." And granted, probably most of those are the decisions that we make that we don't even think about them. Emily: It's not like we're sitting around 35,000 times a day trying to decide something. Emily: But the truth remains that even the things that we are not thinking about trying to work on, still take a toll on our will, and our minds, and emotions, and so I do think there is something to be said for our outward life, and then also our inner life. And on the outside, we're going around, and we're doing our thing, and to address your question of how we got here, I do think that on a regular day in regular life, we move around and we do our things. We go to the grocery store, and to work, and we take the kids here and there, we go to school, and we have our routines. But there is also things that are happening on the inside that are not as obvious to us or to those around us. Emily: Then, when something comes in like a tragedy, or a diagnosis, or even just a conflict that wasn't on our calendar, that's when it pokes things within us that are there, but are lying dormant and waiting for something to have them come out. Emily: And I do think that, you asked the question, "Is there any way to fix it?" And I think one step, one next right thing that we can begin to pay attention to is how many unnamed things live beneath the surface within us, and the power of beginning to pay attention and name some of those unnamed things. Without a name . 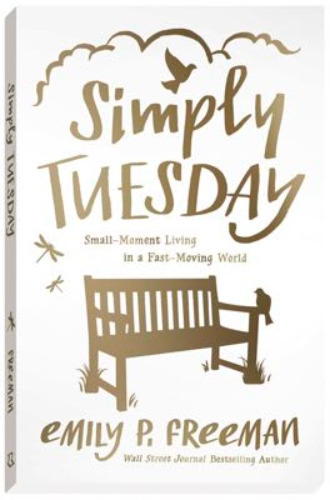 . .
Madeline L'Engle talks about this, about the power of specificity, and how she doesn't care about anything unless it is going to affect her that day. So she cares a lot about the weather, and where she lives, but peace in Iraq is not quite as tangible for her because it's way over there, it's not going to affect her today. But when we hear a story about someone who lives in a war zone, it begins to mean something more to us because it's specific. So without names, we can't be specific, and I think that's why fear has a lot of power, it's because fear likes nothing more than non specificity. I feel like fear is our enemy who wants to cloud our minds with just this general sense of anxiety. When we don't take the time to name, "Okay, what is it I'm afraid of?" then it's going to have power over us. So I do think a great first step is to begin to get still and quiet enough to name some of those unnamed things within us. And it could be as simple as, "This morning my spouse said this thing, and it super frustrated me, but I didn't recognize that's what it was." So two days later when they come to me with a request and I'm like, "No, I'm mad at you, but I don't really know why, but I am." Emily: So there's power in naming the thing. Jen: That feels like you've been spying on me. It's true. That stuff doesn't go away, we kind of bury it alive, don't we? Jen: It can lurk, and it has staying power. Jen: All those little things, all the things that steal our peace of mind, or I'm doing a mental Rolodex right now as you're talking of a handful of things I've got under the surface. I can feel them, but I've not given them enough attention. Jen: I think I can maybe even name them, but I've not even done that yet. Jen: But they are affecting the way I'm responding and acting, and so I think you're right on the money here. One sentence that you wrote that I really like, you said, "What if the way we make decisions is more important than the decisions we make?" And I'm interested in this, I'm intrigued by that idea. Can you talk a little bit more about that? Like how can we go about, not just making better decisions, but making decisions in a better way? Emily: We get so obsessed with making the right decision, right? Emily: It's like I think of myself as an 18-year-old and thinking about choosing a school, or what's my major going to be. And we think that there's a right path, and there's a right decision and I have to figure out the trick, and if I figure it out wrong, then I'm going to be on the wrong path. Jen: Oh my gosh, that's the story of my life. Emily: It's better than a lot of people get, but at the same time it can be debilitating because you think, "Oh, you mean this is up to me? You mean I have to tap into desire? You mean I have to show up to the table as fully myself and make a move?" There can be nothing more terrifying sometimes. And it's a privilege and it's a joy, but that doesn't take away the fatigue that also accompanies it. I've discovered that I think a lot of us go to this point of, "Well, I'm gonna make a pro/con list." Right? Emily: “Well, I've got a decision to make. I'm gonna make a pro/con.” You write the pros and then you write the cons. Emily: You look at it. Maybe there's nothing wrong with that, but I've discovered that usually by the time I pull out paper to make a pro/con, it's probably a little too late. Usually I'm in crazy mode by the time I get to get this. Usually that's about a decision that is to be made in the future. While that can be informative and is one way to do it, that's not making . . . that's about making a better decision. 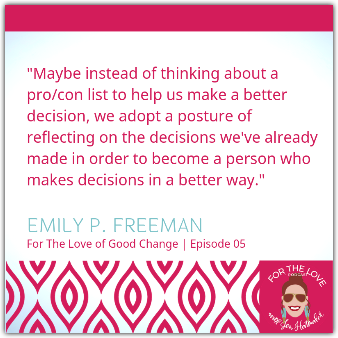 But I just want to submit the possibility that maybe instead of thinking about a pro/con list to help us make a better decision, we adopt a posture of reflecting on the decisions we've already made in order to become a person who makes decisions in a better way. Emily: I think that that has a lot to do with reflection and having a seasonal practice of reflecting on our life in a way that no one ever taught us to do. They don't teach us to do this in grade school or in college, really. There's no class on, “Let's look back on my life and see how it's actually going and decisions I've actually made and then how I felt about them.” So much I think in life, we just respond like, "Well, this is how I always do it, or this is how so and so did it, so I should do it this way too." It's not always the best way. Jen: This is interesting, because you're right. We don't . . . rarely look backwards to see sort of what we've done and how it affected us and how we felt. Do you have any . 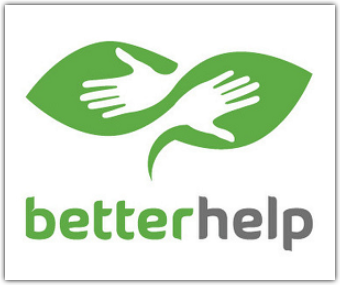 . . Can you give us an example from your life in ways that you've sort of reflected, and it mattered to your current decision making process? I'm just throwing you in the deep end here. You may not have an example ready, but I'd love to hear you walk us through that process with a real thing. Emily: You look back on a specific period of time, a specific area of life. You ask yourself two questions: what was life giving and what was life draining? You think about . . . If I'm thinking about relationships and getting together with friends and what that looks like in my life, I will think, "Okay, well this summer, how many times did we have people over or did we at all? Or how many events did we go to where we were with people at our church? Or did we have a family reunion? What was that like?" Really practical. This is not earth shattering type of information, but I think sometimes we forget to look back. I'm using this example of friendship or getting together with friends. Then when you look at your schedule coming up and you think, "Okay, I've been invited to be in a supper club, and my schedule tells me that's not a great idea, because everything's really full. But my life desire tells me that's something I value. That's a life giving thing for me." That then can inform my decision of joining this club or not, because I think, "Oh, I value this." Clearly, there must be some things on my calendar that maybe I don't value as much. What are those things? Where is the life being drained out of us as a family, and then how can I work in these relational connections that I so deeply value into our schedule over the next 90 days? That's a super simple example, but I think these are the types of things that can cloud just beneath the surf. Then we look at our life in the past year, and we're like, "Oh, I really wanted to get together with people, but we haven't done that since 1998." Jen: That's so good. I think that mindfulness is underrated in so many ways, in ways that we assess and reflect, in ways that we plan and make decisions going forward in our relationships with other people. 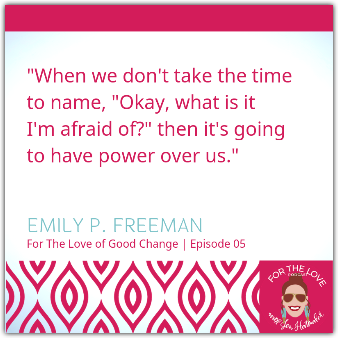 It's interesting because we're in a series right now in this podcast called For the Love of Good Change. You are at least the third guest to say something about this. Even though everyone's talking about different ideas—we've been talking about body image and all kinds of things—but this idea about being really mindful and really thoughtful, slowing down the machine and looking at its various gears and parts is something that a lot of our best teachers seem to be telling us right now, that this is something we need to really work on reclaiming. Emily: It's so true. It reminds me of . . . You know when e-books started to get really big and everybody was like, "Oh, books are gonna go by the wayside. No one's gonna publish a book again. Forget it." But don't you see now, so many people are like, "I just love to hold a book in my hand." Emily: Books are not going anywhere, because we are human people. Emily: We are not looking for something be more disembodied. We are looking for things to be incarnated. We're looking for things to be as far as like an incarnational living, a living out of God in us and with us. And what can I touch and hold in my life with my people, even with my things, even with my books? Like, I love holding a book in my hand. I think there's a lot to be said to that. I think it points back to our longing for true connection, for being where we are with the people in the room and not sort of always floating out somewhere else or being a disembodied head on a profile picture. There's really something powerful to that. Jen: I agree with you. Jen: Hey, everybody, Jen breaking in for just a second. I hope you have been loving this series. So one of the ways many of us choose to reveal good change can happen in our lives is to seek great counsel. I am, as you know, a huge advocate for counseling. I feel like sometimes we just need a little guidance from a trusted source who can help us look at things objectively and find a way forward. Jen: So, this is interesting. You've gone back to school. Jen: You tell us in the book that you didn't know exactly why you made that choice, because for once you just made a decision without having to justify yourself, which I seriously love this. You went back to school, because you wanted to. That's why. Jen: Which is amazing. I wonder how often we allow ourselves to make decisions just for the sake of it. It doesn't feel like we do this hardly ever anymore. Can you talk about making decisions that way? Has that been fruitful for you in this season? What do we learn when we take small risks by not justifying and wrangling to death every single decision that we make? Emily: I squeezed the life out of that decision. Let me tell you, I wish that my husband John had been like, "Emily, I don't think it's a good idea." I would have been like, "Okay, phew! What a relief." Emily: Yeah. Finally. Just tell me what to do. He wasn't. Ugh, the nerve! The supportiveness! Emily: He was just like, "I think it's great." The fact that my pro/con list was not giving me the answers I wanted and that I had to pay attention to my life, that I had to name some desire was kind of the worst, honestly, to start with. But I really think there was something to this action of coming on home to myself. Emily: When I was younger, I rode the bus. I went to school with my sister and I. Our bus stop was just a couple houses down. But our bus stop was at the end of this driveway of the house, the scary house. Does every neighborhood have a scary house? Jen: I think it does. Emily: I feel like it does. It's very tall. It was like 12 feet tall, really thin. This man, he lived in the house with his son. His son went to our school, but he was shrouded in mystery. They lived in this dark house away from the street, but our bus stop was like . . . The county demanded we stand there, so we stood at the very tip of the driveway, because his house had signs like “no trespassing, beware of dog.” I don't think they had a dog but “beware of do” and like “no solicitors.” I didn't know what solicitors meant. I really hoped I wasn't one, because I was like first grade. I was like, "I might be a solicitor. I don't know what that means." Emily: But as I tend to do when I think about stories like this in my childhood, I always reflect on what is a similar thing happening like that on the inside. I think, "You know what? I have actually stood on a porch where I have felt unwanted and unwelcome. I do it all the time. It's really the porch of my own soul." I feel like so often I am my most unwelcoming presence and that I sort of stand on the other side of myself. I'm like, "You can't come in here. You're not allowed to access the deep desires that are happening beneath the surface." Emily: "You have to look outward. You have to find someone else to give you permission, because you're not welcome here." Emily: There was something about this school decision, which a privilege to be able to make a decision to go to grad school. I recognize that. But on the inside, I think we all have some daily decisions and some daily desires that are sort of hanging around in the living rooms of our soul, but we don't give ourselves access. We put this “no trespassing” sign up. We say, "Nope, you are not allowed in here. In fact, I'm gonna make this scary for you to even come in here. So, you go on with life. Don't come in here." What would it be like to stand at the doorway of our own soul and say, "Welcome! Come on in. Come sit down. You belong here." That's what this process has been like for me, of valuing my own journey, my own decision to, I like to say, go forward to school rather than go back to school. Emily: It feels like I'm living forward into something. Emily: I didn't miss it the first time around, granted I didn't go. But that's okay. I didn't miss it. My pace is my pace. There's no such thing as behind. So, here you are. Welcome come on home. I want your opinion on this. I'm curious if you think there is an added layer of red tape across access to our own desires, our own preferences, our own little stash of dreams and hopes for women who came up through . . . I don't know how to say it for lack of a better word, kind of traditional church. Do you think that there's an added spiritual layer? Because I don't know how you were raised exactly, but for me, my personal desires were usually couched as being bad, that something about me was inherently bad, that my heart was evil and it was sick and it would never be well. Or, even more rudimentary, if it was just something that was gonna give me great joy, well, how dare I? 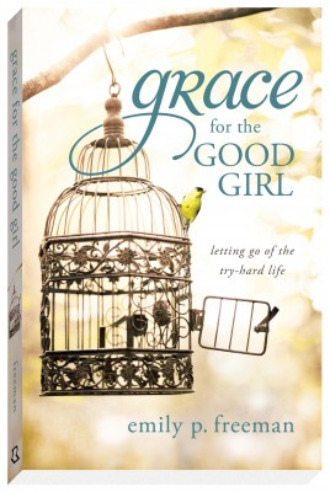 There was some sort of self-sacrifice built into the idea of being a good Christian for me. I'm just curious if you think maybe that's more universal than I think, or do you think women raised in a Christian environment like that struggle with another added layer? Emily: Absolutely I think that. I've yet to meet a woman or man, but mainly I'm talking to women and stuff usually about this, who has not felt at least some level of shame about their own desire. Emily: I do think it's rooted so far back in our growing up and growing up in the church and, "Oh, your desire might lead you astray." Granted, sure. If you desire to do something like terribly immoral or kill someone and you desire, of course you're not gonna follow that. But that's not usually what we're talking about. I think there's a super important distinction we have to make between admitting what we want and demanding what we want. Admitting what we want . . . We are so afraid that we're going to be demanding something that we won't even admit what we want. 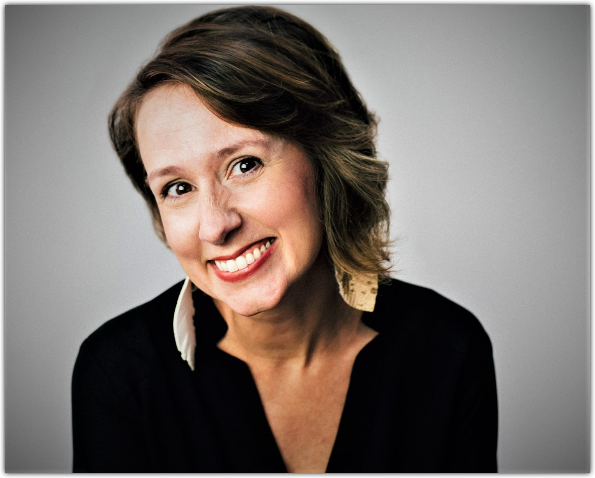 Emily: For me, again, it goes back to naming and being specific, naming what I want in God's presence is a beautiful thing. Demanding what I want is a whole different situation. That's a different posture. That's a different feeling that you get. Admitting what I want, it brings almost like an openness, a humility, a child likeness, like, this is something that I'm longing for. But now demanding, all of a sudden you're closed up. All of a sudden your hands are clenched. That's a whole different thing. That's when we get angry. That's when our expectations don't get met. But being a human who is so aware and in touch with you've come home to yourself, you're in the presence of God and you're admitting, "I want this thing, but if I don't get it, I'm going to be okay," that's very different. I think this space of . . . Here's the thing. What you want is what you want, whether you admit it or not. And it's going to affect how you move through the world. If you're a human who wants something, who longs for something that's true or right or that's even maybe a little off center, it's what you want. If you don't admit it, it's gonna come out in your body. It's gonna come out in your posture. Emily: It's gonna come out in your mood and your attitude, the way you treat other people. I think that we've clumped desire into one big ball of taboo. As we begin to parse it out in the presence of God, we can trust that He is smart enough and intuitive enough and strong enough and kind enough and compassionate enough to lead us in His way in His timing as we're honest with Him and with ourselves. Jen: That's great. I love that counsel. One of the most intriguing concepts that you introduce in your book is what you call “soul minimalism,” great phrase. I love the idea of this. Can you tell us more about what that is and why it does not mean that you're chucking out baby Jesus with the bathwater. What does soul minimalism mean? Emily: Well, minimalism is sort of . . . We kind of know what this is, right, in our houses. We're always . . . Joshua Becker who writes a blog, Becoming Minimalists, he's written several books, he talks about this a lot where we're always bringing things into our houses, input, input, input. Like, the school projects, the Christmas gifts, the birthday gifts, all the thing always. But where our regular practice of taking things out. Most of us don't have one unless we're super great, unless we're good declutterers on the regular. But that's why we spend a weekend, and we're like, "All right, kids," you get the trash bags out. You're like, "This is it. It's over. We're burning it all down." Emily: That what we come to. Truth is, that happens on our soul, too. We talked a little bit already about how we always have input, input happening everywhere with conversation, with every social media channel, with TV, with interaction with our work. Everything is coming in but where is our regular practice of letting some things go, of releasing what we no longer need, of even figuring out that there are things there that we do no longer need. Emily: A lot of times, there's no regular practice of that happening on the level of our soul that our inner life. Emily: The way that I have discovered to sort of declutter for lack of a better word, but to declutter my soul. What I've discovered the best way is to practice silence, stillness, and solitude. Emily: Not something that everyone is super excited about. It does not take the week long monk practice of being alone that we think it does. Actually, I have learned, and I am learning to integrate this into my everyday life. The way I do that is, honestly, I will set a timer on the phone for five minutes. Emily: I will put five minutes. I know it's gonna ding when it's done. I set it there, and I sit still in silence. I recognize the presence of God with me. I don't necessarily pray, although sure you could. But the idea is to sit in silence without an agenda. That's key. And to simply be present with what is and to recognize God's presence with you. I have discovered that when I get up from those five minutes and my timer goes off, problems aren't solved, situations aren't different, decisions aren't necessarily made, but there has been a little bit of space created so that decisions might not feel so heavy. Emily: And relationships might not feel so hard. Jen: That's really great. It's funny. As you describe it, it sounds like the easiest thing on earth. Yet it isn't. Solitude and stillness and silence, it literally takes practice. Jen: I want my listeners to know that if you try that beautiful, beautiful idea of sitting with a five minute timer, in its first few times it's disastrous and your brain runs off. That's how I . . . I have a busy mind. So, again, this is one of those practices that for me is challenging. Yet when I've done it, and I press into teachers like you who lead me in this direction, because I know it's against my natural way. Therefore, I need it. This has been one practice that for me really has a what feels like a disproportionate benefit. Jen: It doesn't feel like a lot. It's just five minutes. By the hour, that's not every much time. Really and sincerely, anybody can do this for five minutes. But it has an outsized effect on creating just a little room. Then it has this accumulative effect on me of teaching me to just be a little bit more still in all things: in my decisions, in my words, in the way that in processing something somebody else is saying or doing. It just kind of slows my gears down ever so slightly but enough that I feel the difference. Jen: I wonder if I could just ask you this before we move on on this idea of soul minimalism and soul decluttering. Can you give us an example . . . Because a you're saying it, I'm trying to think what's the last handful of things that I said, "This doesn't serve me anymore internally. This is not a thing that I need anymore. It's time to put this one out." I'm having a hard time coming up with some. Can you talk about maybe some of things that you have sort of decided internally, “I'm releasing this, it's served its time but now it's time to go”? Emily: Well, let me just say I'm terrible at this. Emily: But that doesn't mean it's a bad practice. That just means it's a practice. Jen: That's good. That's so good. It's so true. Emily: It's so hard, but I'll tell you one that I'm currently mindful, aware of in this moment this week. That is fear and anxiety. Huge, huge topic and we could get real deep into it if we wanted to. But I recognized in myself that this is the time of year when everybody's getting sick, and my family has . . . three of the five of us now have had the stomach bug in the last several weeks. In the midst of some of that sickness a couple weeks ago, I was like, "This is out of control." The sickness is what it is. It comes and goes, and it's over. The facts tell me that all will be well again, right? It's gonna be okay if I look at the facts. But recognizing, and sometimes silence helps me realize like, "Okay, I'm naming, what is it that I'm afraid of right now? Oh, that everyone in the family is gonna get sick, and it's never ever, ever, ever going to end." Emily: And when I say that out loud, I'm like, "Oh, that's ridiculous. That's never happened." Emily: That's not in our life, you know? But it's just kind of . . . So recognizing something. This is something I no longer need. Now, does that mean I've taken it out of my suitcase and throw it into the air? I've tried, and that's a practice I'm working on, but I think that being aware of it, just being aware of it has helped it lose some of its power. Jen: Totally. What great, great advice. Another thing that you have coined is a pretty brilliant term, which you call a "no mentor." What is a no mentor and who is that for you? Do you have somebody that mentors you in the no? As in N-O, listeners. Jen: As an N-O. It is sometimes I forget. Emily: Right. Right. Well, let me tell you. So, my sister and I, my sister, she goes by the The Nester online, she's written some great books, she's fantastic. So she, her name is Myquillyn. So she is four years older than me, so she's my big sister. And I realize that every time I have a decision to make, especially when it has to do with timing or my schedule or my work life, 'cause she and I have similar work lives as far as we both write and sort of are in that world. I realized that I've sent her a Voxer or I call her on the phone, and I'm like, "Should I do this thing? Should I not do this thing?" And what I realized when I look back, I call about things that I kind of don't want to do. Emily: But I want someone to tell me that I don't do it. Right? Jen: Yes, yes, yes, yes. Emily: And so she is like, "No, you don't want to do that, and here's why: bum bum bum bum bum." She reminds me who I am. I’ve realized, oh, everybody needs to have an no mentor in their life. Somebody who can remind them what they do and don't want to do 'cause you all, sometimes, when you get asked to do a thing and it's something that all the people think would be a great idea. Emily: And they tell us it's such a great opportunity, well, guess what? No one else gets to decide that for you. You have to decide it for yourself whether, what great opportunity, what constitutes that for you. And for me, a no mentor, the way to find one is first you have to find someone who makes decisions the way you want to make them in areas that you want to make them in. And then I do think also we need someone who knows you and someone who gets the subtleties of your decision in a way that someone else might not. Emily: And these are the kinds of people that we need in our lives to help us make some of these hard decisions. Jen: I have those people in my life, and the service that they have provided for me is immeasurable. For most people, I think, the opportunities that come across our desks are mostly good. Very rarely are we really on the horns of a dilemma between something wonderful and something terrible. It's usually something good or useful or purposeful or meaningful. And so I can't even think how many times my friends who sort of served me this way and me them because they know everything. Knowing the underbelly cannot be overstated. That is they know what you've said before when something kind of like this came along, and you said yes or no. Jen: They know your history, they're able to say, "Do you remember when two years ago we pretty much had to pull you out of the weeds? Let's not do that again." So I cannot recommend this practice enough. In fact, I have one friend specifically who's so good at this, so usually when I'll call her with something like that, like, should I or shouldn't I, she's funny 'cause she asked me one time, "Do you want me to talk you into this or out of it?" And I'm like, "I'm calling you. What do you think?" She's like, "Okay, out of it is." So you're right. I think we sense that we need somebody on our side, and that's what it is. We just want someone to be on Team Me and help me protect my soul and my time and my family and my energy, and no mentors are crucial, I think, to navigating adulthood in a healthy way. Jen: I think my favorite chapter in the whole book was called “Wear Better Pants.” I almost wish that was the title of the whole book. It's so funny, “Wear Better Pants.” So, here we narrow down to the nitty gritty of spiritual disciplines. I mean, let's be honest. Emily: The most important ones, right? Jen: The most important. So can you tell us about the day that you found your long-forgotten jeans in the closet? Emily: I was doing the decluttering thing. It was one of those things where I like, "I have too many clothes, we're gonna get rid." And I kind of like flitting through the house and getting rid of things, and it kind of puts me in a happy mood. I don't know. It's one of those days. Emily: And so I was doing that thing and then at the bottom of my drawer, I found some pants that I absolutely love. I think I got them at the Goodwill, but they fit just right. So I'm like, "Oh yeah, I'm putting those pants on. I'm gonna keep on doing my thing." So I put the pants on, and I keep going through the house, and it's been maybe 30 minutes. And I recognized within myself a little bit of a wilting, a little bit of a fussiness, just kind of like, “Here I am cleaning and this is the worst.” When I got still for like, this was like 10 seconds worth of thinking, it wasn't like I sat there and meditated for an hour. But it was just like a, "Okay, let me be aware of, when did my attitude begin to shift? What is happening?" And I recognized that I really wanted to hold on to the narrative that those jeans told me. I mean, people talk about decluttering like it's no big deal. It's a deal. Jen: It is a deal. Emily: All of our things, they carry stories with them. That's why it helps to have another person with you when you're decluttering to be like, "Throw them away and move on with your life." Because I get wrapped in the story of things, and you want to believe that that story's gonna be true again in the future, so that's why we hang onto things just in case. Emily: And so I thought, "Here's the truth. We are not parceled out people. It's not like my inner life is here and then it's separate from my body life. No, I need to wear clothes not just to, I need to not just have to space for my soul to breathe in a spiritual way. I need to be able to actually breathe, like, in my lungs. And to take a breath and to wear clothes that make that possible. Emily: And so I thought about, you know what? In that moment I went up to my closet, and I was like, "We're calling a truce. I will keep you clean and organized-ish if you will stop harboring the enemy in the form of clothes that do not fit me anymore. One of my favorite authors Leeana Tankersely talks about this, about how she had to get rid of all the bad pants. Like, no more bad pants. Emily: Because it is an outward simple representation of ways that we are not coming home to ourselves. Jen: You're right. I love that so much, Emily. 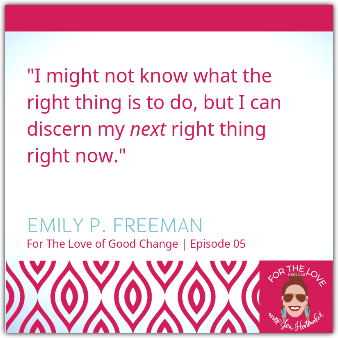 Let me ask you this, and maybe this is hard to pin down, but what would you say is the most impactful change that you've made in your life sort of based on the next right thing process? Emily: Well, the most impactful thing is just that phrase. And it's asking myself that question in the next moment, to give myself permission to just stay in that little space. Emily: Try to keep one tab open on your computer. Jen: I need to text you a screenshot of my computer right now. Fail. That's good. Meaning just here's my focused mind doing one thing without a thousand options and click away. It's so funny how those things have . . . those are all new concepts in the last decade, and yet, they run our lives now. They literally run the way that we feel about the hour and the day. I was just in Cuba on a big fun anniversary trip with a bunch of friends, and there is no internet. Well, there is, but it's really hard to get. It's complicated and we just decided that that was not the way we wanted to spend our days, so all of our phones were just turned off for a week. I mean, this is not earth shattering, anybody would say this that's a living, breathing human in today's world, but it was remarkable. We talked a lot about it by the end of the week how we felt different. And sort of, to use your ideas and metaphor, just having all the tabs closed, how many more things that I noticed, how every single time we were on the table we were talking instead of looking at our phones. There's something to it. There really is. I don't think we even know the half of the impact that our social media and internet culture is having an effect on us. We'll probably know it in a couple of decades with some more clarity. But I like the whole idea that you're talking about, the whole thing of dialing it all down in a million different ways, giving our brains probably what they're probably meant to have, which is one small thing at a time. Just the next right thing, one-tab open, five minutes of silence. These are practices that I think could really pull some levers in a good way in our lives. I want this for us, I want it for my kids for sure, you know? Jen: As we kind watch them just barrel down the tracks. They don't know another way. And so I'm thinking about everything you're saying, Emily, and how I can parlay this also into an interesting conversation with my kids and help them navigate the tsunami in a healthy way. So, these are just three questions. We're gonna wrap it up that we're asking everybody in this series, For the Love of Good Change. They could just sort of be rapid-fire, whatever comes to mind. Here's the first one. What's the best small change you've made in your life? Just a little one. Big impact. Emily: Keeping candles lit in the house. Emily: Weird. And I do have a diffuser, so all you oil people, I do that. Emily: But I do like an . . . even a non-scented candle. And it's weird, Jen, I've kind of fallen in love with taper candle, like the long skinny ones that they use in the olden days. Jen: Oh, how old-fashioned and wonderful. Emily: It's so old-fashioned, but to burn them down you feel like, “Yes, I am using fire and wax. Now I am creating ambiance.” And it's a small change and I love it. It makes me happy. Jen: I love that. Oh my goodness, I really do love that. That's one of my favorite answers we've gotten. What about this? What's one just positive thing that you do every day? It's putting you in the positive space of the world. Emily: I try to get outside a little bit. Emily: And walk around our block. You can go, I think it's about 15 minutes to walk around the block. And you think I could do that everyday, but I don't. Jen: Oh, I know better. Emily: But when I do it, I love it so much. It makes me so happy. Jen: I have said that before that even if I give it a five or a ten minute time limit and I just sit on my porch, and there's the grass and there's the trees and I feel some wind, and there's my dog with me, it has an impact. It really does, so there's something about the earth that our bodies crave and it's good for our minds. Here's the last one. I'm sure you read Barbara Brown Taylor. This is one of her questions. Jen: That I love and we ask every single guest this question. Big, small, funny, serious, whatever you want. 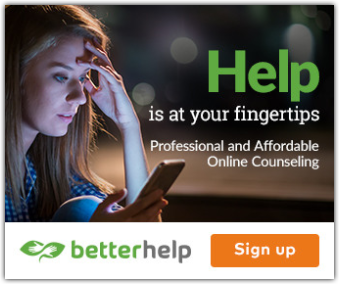 What is saving your life right now? Emily: Listen, Poldark. John and I just finished Poldark, and it's like, I look so forward at the end of the day, we're gonna watch a Poldark. Emily: P-O-L-D-A-R-K, and it is the last name of this character. And there's another one . . .
Emily: This is the worst, called Lark Rise to Candleford. Emily: You're gonna really need me to spell that. It's like two towns, one’s named Lark Rise, and the other town's name is Candleford. An it's just this delightful show where they talk in the, you know, I'm not gonna do it. Emily: The British accent, and it's like nothing happens on the show, Jen. I cannot express to you. Jen: It's a show about nothing? Emily: Like the chick laid eggs, and the show is over. And you're, like, so happy because you just got to spend time in Lark Rise and Candleford. And it's saving my life, saving my life. Jen: Oh, my gosh. You're gonna think I'm making this up 'cause it's so on the nose. But last night, I kid you not, my husband, Brandon, said, "Can anybody explain to me why when I pull up my account on Netflix . . . " The way that we have ours is that every kid has their own, I don't know what, channel? I don't know how this works. I'm bad about the internet, but yes, "When I pull up my Brandon account on Netflix, they all, virtually all of the suggestions for you are British." And I'm like, "Well, that is because I operate under your name, yours is the channel I pull up, and that's what I watch. And so I'm sorry about your amazing opportunities that you now have in front of you." But something about those British shows, it makes me happy. It just makes me happy. Emily: Yeah, makes you happy. Yeah. Jen: Yeah, it makes me happy. And so I'm 100% dialed into your answer, and I find you a woman of great discernment. Okay. About to sign off. Can you just tell my listeners where they can find you, what you're doing, anything new on the horizon or anything at all that you would like to share about who you are and where you are and how to find you and what you're working on? Emily: Well, my favorite place to hangout is Instagram, @emilypfreeman, Twitter's the same, @emilypfreeman. And then I'm at emilypfreeman.com. 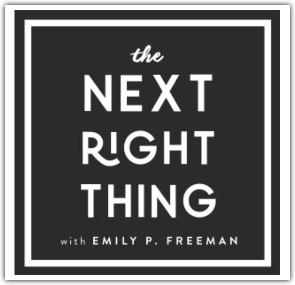 So that's kind of where everything lives, but the podcast comes out weekly, TheNextRightThingPodcast.com, The Next Right Thing, you know, you can listen probably wherever someone listens to podcasts. Emily: And then The Next Right Thing book releases April 2nd. Jen: Oh, it's so exciting. And listeners, I will have all this linked on my website at jenhatmaker.com underneath the transcript for this episode. We'll have it all. All of Emily's handles and her socials and all her books. And the link to her podcast, everything that you could ever want. I want to thank you so much for coming on today. Thank you for your calm and kind presence. Thank you for being good to yourself and thus good to the rest of us. And leading us well in a way that I find I'm really craving right now in this “do more, be more” world all the time. This feels so healthy and nourishing. And so thank you for your time, thanks for giving my listeners in this little podcast an hour of your wonderful wisdom. You are literally the best. Thanks for being on. Emily: Anyway, thank you so much for having me. Jen: Okay, guys. I hope that you love Emily P. Freeman as much as I do. I know a lot of you already know her and love her. So I'm super happy to introduce her to the rest of you who are new. She is wonderful, just a good Soul. And the kind of leadership that you heard for the last hour is sort of the way she is at all times, and that's kind of how she leads and writes with that beautiful, wonderful gentle way about her. So, anyhow, like I just mentioned, you can find everything related to Emily over at jenhatmaker.com underneath Podcast where you'll find the entire transcript of our conversation if you'd like to see more. Absolutely be using that transcript page, you guys. 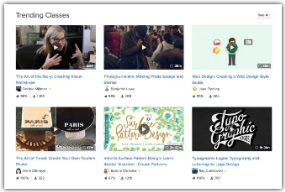 Amanda builds it out with so many extra resources for you, and every single thing we mentioned is linked, including all of my guests' social media accounts and bonus pictures they send us to post. 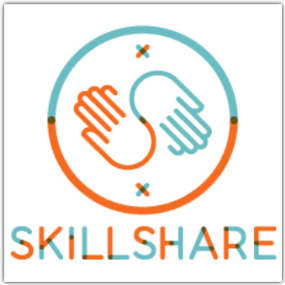 It's just a great, it's a wonderful tool, and I hope that you use it and you can obviously share it, too. Thank you for being here. Thanks for subscribing to the podcast, we have so many great subscribers. I mean, this podcast is such a joy for us to put on for you, and I have so much love for this series. So much so I wish it was longer. I hope that you've enjoyed it as much as I have and so if you haven't already subscribed you guys, it's so easy. This will show up in your little phone every single week. You don't have to do anything. You don't have try. And give it a little review or a rating if you love it. That's good for our show and good for us. And as always, we're interested in your feedback. Guests ideas, series ideas that you're interested in. We are paying attention to what you say and to what you love. We always want to make sure that we are bringing you a show that's interesting and funny and smart and creative and diverse. So anyhow, we're paying attention, you guys. You're gonna want to come back next week. We have even more wonderful, wonderful things to bring you, a fabulous guest you are not gonna want to miss. So see you next time, you guys. Have a great week.